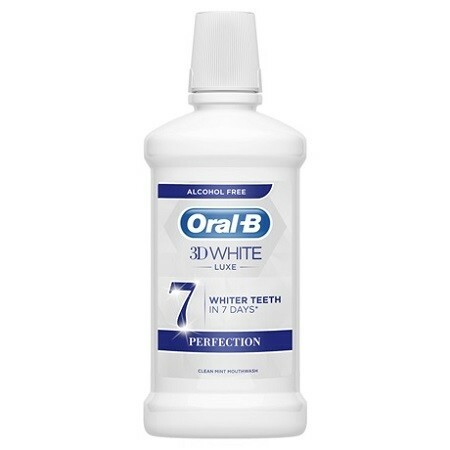 Oral-B 3D White Luxe Perfection Mouthwash provides whiter teeth in 7 days with brushing by removing surface stains and leaves your mouth fresh without alcohol burn. Fill cap to 20ml line as marked. Rinse mouth thoroughly for 60 seconds and expel. Use twice daily. Do not swallow. Not for use in children under the age of 6 years, or children who cannot spit.